Red Chilli peppers are available throughout the year to add zest to flavourful dishes around the world and health to those brave enough to risk their fiery heat. This is the plant that puts fire on your tongue and maybe even a tear in your eye when you eat spicy Mexican, simmering Szechuan, smouldering Indian, or torrid Thai food. 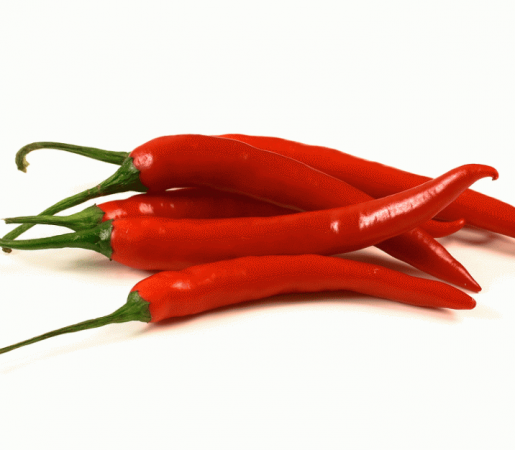 Chilli peppers belong to the family of foods bearing the Latin name Capsicum.